If this photo looks like a sea of mish mash, that's because it is. 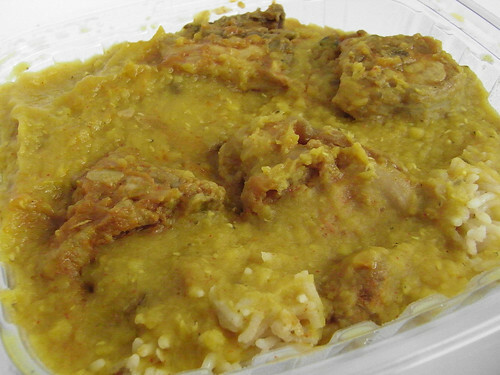 But it is a very delicious mish mash of fall-off-the-bone chicken curry with equally as soft cooked yellow lentils over a bed of rice and peas. Lahore is more of a taxi driver stop during the off-hours but at lunchtime it's a funny mixture of hip Soho fashionistas, nearby construction workers and local office peeps. $6 for a container of two options over rice is kind of irresistible.